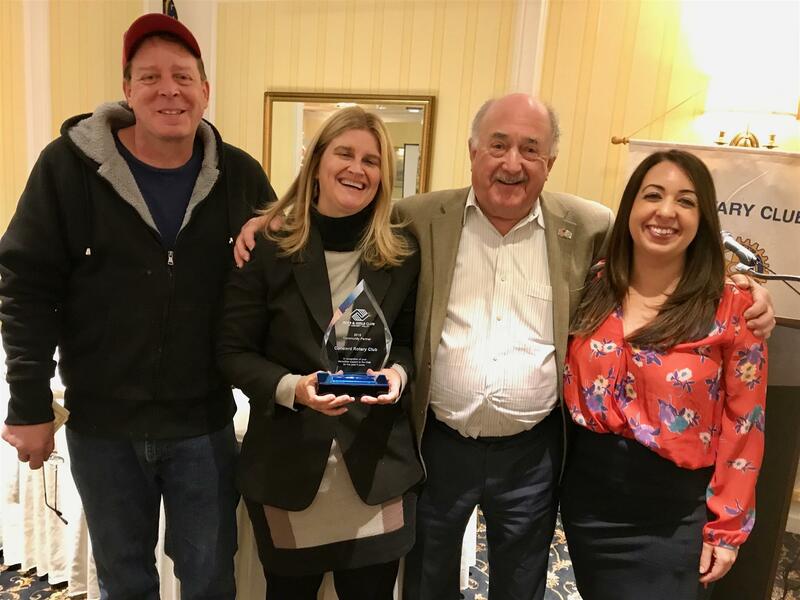 The Rotary Club of Concord was named "2018 Community Partner" by the Boys and Girls Club of Assabet Valley at their recent annual meeting. Here are (from left) Dave Robertson, Sharon Spaulding, President Henry Dane, and Theresa Espinola, Rotary leaders who planned many events for the kids who attend the Boys and Girls Club After School Program. The award Sharon is holding reads "In recognition of your incredible support to the Club for the past 3 years."